Our prestige vehicles are always prepared to ensure the comfort and saftey of all our clients. The fleet includes, executive range of cars to suit every need. We have executive and club class mini buses, highly spec saloon cars, be it a business conference or a staff meeting corporate roadshow or exhibition we offer you a fantastic and professional service which allows us to come back and collect you on the dot, so you know that you are getting home in the best possible fashion. 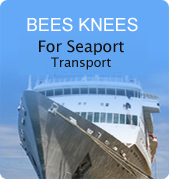 Bees Knees chauffeur services and the requirements of providing a top quality reliable and confidential service based around you, our client. Our aim is to offer the most professional chauffeur services in Warwickshire.